Posted August 5th at 12:00am. 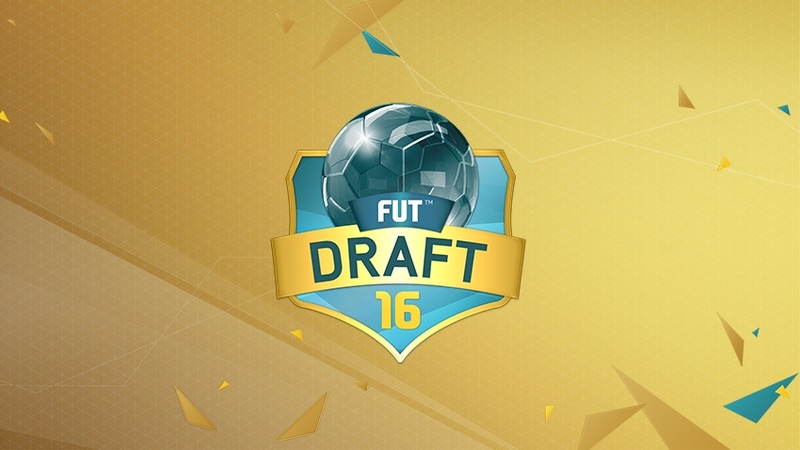 Coming to FIFA 16 is FUT Draft, a brand new way to play FIFA Ultimate Team™. This new mode will test your team building skills as you pick the best fit for each position from a five-player draw. Draft a squad and challenge opponents in a series of up to four matches to win big rewards for your club. 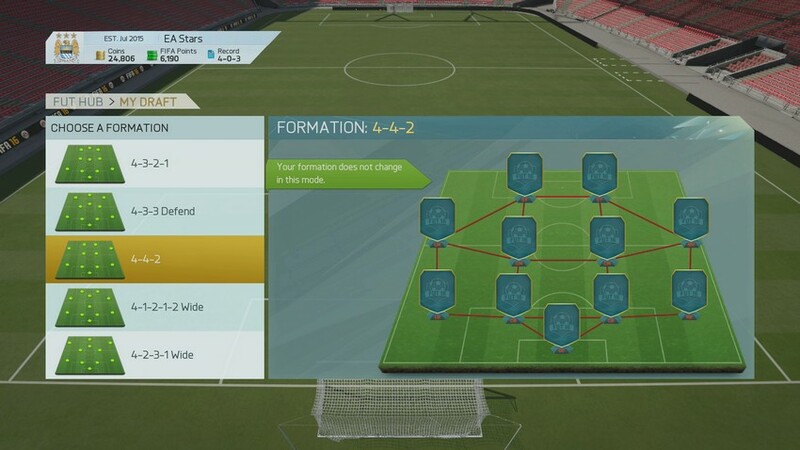 Start your FUT Draft by choosing between five different formations. Choose wisely: the formation you pick will remain as your default formation throughout the series of matches. Will you pick a formation you’re more familiar with or experiment with a formation you’ve never tried before? After picking your formation, it’s time to build your squad. Your first player decision is picking a Captain from a set of five superstars. From there, fill out the rest of your 23-man squad by picking players for each position from a random draw of five players. You’ll be faced with interesting team building challenges: do you grab the best highest rated player in that position or focus on maximizing team Chemistry? Try different combinations to see what works best for you. After selecting your starting XI, Bench, and Reserves you can then move players around to improve your Chemistry rating. 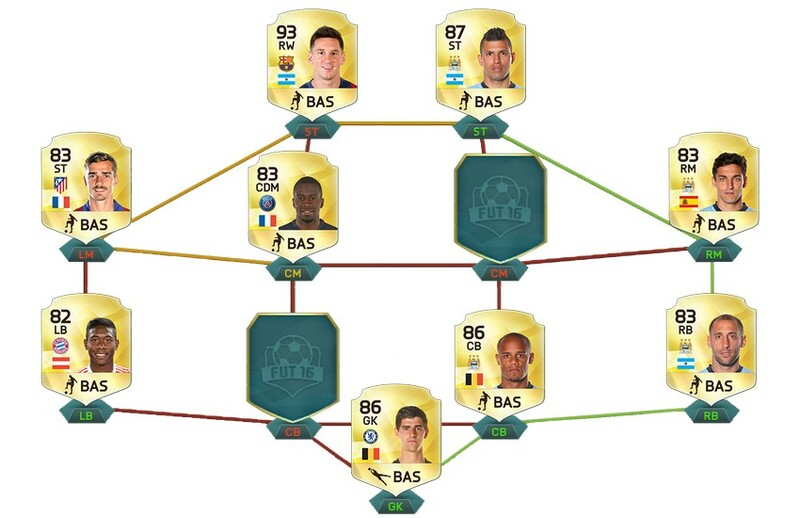 Any FUT player may show up in the draft, including Legends (only on Xbox) and current or previous special in-forms. With that kind of variety, the FUT Draft is a great opportunity for all gamers to try some of the best players in the game. Once you’re ready, it’s time to take your squad to the pitch and challenge opponents to compete in a four-match series. You can compete in single player or online against opponents across the globe. As you progress, you’ll earn better rewards, including coins, packs, and more. Win four matches in a row to earn the best rewards possible! 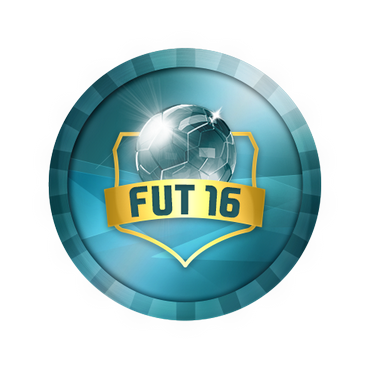 A FUT Draft series has an entry fee of 15,000 coins, 300 FIFA Points, or 1 Draft Token (available in FUT packs). Even if you lose your first match you’ll still receive a reward that matches the value of the entrance fee. The further you progress, the better rewards you get.